Rafa is busy working with Lee Charnley to try to bring more players into the squad with our most significant requirement still being to get in a new striker who can score goals for us. Rafa is also directing the training camp at Carton House, and we take on St. Patrick’s Athletic tonight in Dublin in our first pre-season friendly game. 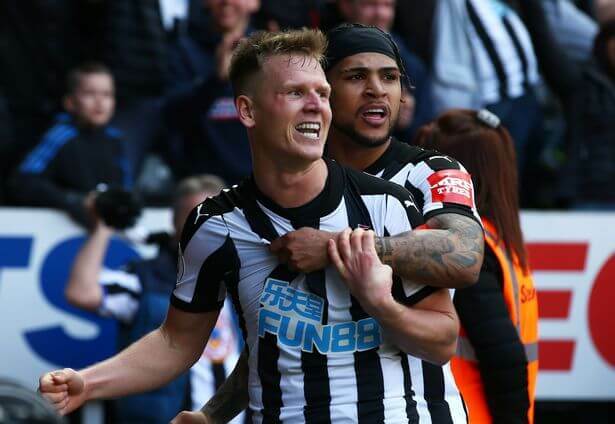 Stoke City are interested in signing Matt Ritchie, but he will only leave if Rafa can get Andros Townsend in, but that double deal seems to be a difficult one to pull off. And Rafa says he wants to keep all the players he has training with him at Carton House. The last two seasons have been successful by anybody’s measurement. But now the test is to be a top half team all season (no relegation worries) and hopefully push towards a top-six finish if possible. Rafa also wants to keep Isaac Hayden at Newcastle – as he mentioned in his comments above. Isaac wanted to leave for family reasons, but Rafa has started to talk to him to see if he can work out some solution. We’ll see what happens on that front. what is a “real fan”? A person who has the clubs interest at heart. Mike Ashley clearly does not. Anyone who justifies his running of the club(roblen), is not a real fan. That’s very harsh on Robleenio, the lad is a source of good positivity and realism… Personally what I would call a real fan. Someone who is constantly toxic and can’t see the woods for the trees perhaps? Where has Rob justified Ashley’s running of the club? Keeping Richie is definitely sence, one of our best player’s. Not sure why people thought they’d be big signings/ money spent at Newcastle. We’re run on a budget and provide a game for the fans to watch, which works a treat, st James Park is always full, fans spend big MA bank account gets bigger. … and who made C-dog the arbiter of who is? This is a Blog for all NUFC fans not for only for those who some may deem to hold the perceived majority view. Robleenio is capable of looking after himself but the post is simply an unworthy character assassination and he certainly is not for the regime and posts no more than several others including Jail G2 off the top of my head. people can interpret that interview any which way they want. The message I get is he’s here for another season at least. So I’m gonna enjoy it whilst it lasts and let him know how much we appreciate the work he has done for our beloved club. Rafa Benítez, we want you to stay. Mike Ashley, we want you to fcuk off! c-dog, I wonder who is the real true fan if you can’t recognise the name of an actual club legend hidden in my moniker but have to refer to me as roblen instead? “Newcastle have spoken to West Brom over the potential signing of Solomon Rondon. 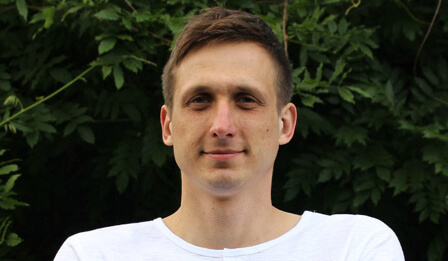 We understand the striker has a £16m release clause in his WBA contract. However Newcastle are unlikely to meet that clause until they sell Aleksandar Mitrovic. Wasn’t cdog the one who would none stop post about Joselu? He also said that Kenedy was a bad signing at the time? …. And Mitro along with Mbemba and Hayden’ll could well be sold on the last day of the window and too late to buy or borrow equivalent or better replacements. Sorry ye positivists, but after 10 plus years of Ashley his ways are fairly well known. It’s like seeing the same pantomime year after year – same plot, same villain but different heroes and peripheral characters. Premier League club Arsenal is helping a Chinese investigation, after it was potentially caught up in a fraud around its sponsorship deal with carmaker BYD. Can anyone tell me if you can park at St.James multi storey on non match days. Or where is best place to park near RVI .For about 3 hours. In this age of crazy TV money we still haven’t broken our transfer record with Ashley as owner for the last 11 years. Doesn’t that record speak volumes? As long as supporter’s continue to fill St.James Park nothing will change. The fat parasite is laughing all of the way to the bank. I remember boycotting games when the Magpie Group were pushing for change 30 years ago. We need someone like SJH to push for change and remove the fat parasite that is destroying our club! We all live in hope but nothing ever bloody changes does it, we’ll all be saying the exact same things in 12 months time! Rafa hasn’t signed up for an extension of his contract and we all know why. Well clearly Rafa would “like” (in italics) to keep Ritchie that’s for sure and in an ideal world Hayden if his homesickness/family concerns can be overcome – such as moving the family to Newcastle would be a start. Didn’t intend to repost the TF accounts analysis – the link must’ve been sitting on the phone’s clipboard. Seem to recall something about that but not a facet of Blog I get too concerned with – usually don’t bite. His comment was odd for a WUM though – surely he would have been better praising Rob and getting backs up of the “majority” as he deems them as that would annoy majority? The scales starting to fall a bit about what has been happening behind-the-scenes at #nufc. Rafa hasn’t got the answers he wanted. Mike Ashley has shown his hand and it depressingly predictable: he doesn’t see the opportunity that Rafa at #nufc presents. lesh, lol “ye positivists” – is this getting party political now? You do try hard to bring down any optimism but this is for many real life and not always so predictable ( never been to a pantomime in my life and have no desire to). I can’t figure out why you are so outraged by any reasonable optimism shown on here – is it dangerous somehow? People can be positive till the cows come home but when the reality becomes apparent it’s often a major disappointment. However and like it or not, realists and cynics are generally prepared for it and good news becomes an added and welcomed bonus. Favourite Trump protest song ? The only thing positive is rafa and that we have players that care but ability isn’t massively great. With Ashley it’s nothing but a negative and groundhog day repeats itself every window with him at the helm, what also repeats is the few voices that hold onto HOPE that this time it’ll be different. I am certainly not outraged by reasonable optimism but without regard to history, I see it as naivety. It’s only my take on things and I sincerely hope that Ashley does change his ways and supports Rafa to the point that his contract will be extended. That being the case, I would be delighted to have been shown to be pessimistic. Think we were riding high in the championship 18 months ago. Doubt there was much match day negativity then. How do you see Newcastle United developing, moving forward, under Ashley next 5 years ? Not what you are hoping for but realistically how you think it will all turn out under Ashley . World class Manager scratching around for players, I’m embarrassed for him . Wor Rafa, He’s leaving at the end of this season lads. Made you think eh Jib ? if the worst happens in a football sense having experienced not kicking on after Fairs Cup win, Pop Robson, SuperMac, Withe, Waddle, Beardsley, Gazza being sold ,roof taken off Leazes and ground left undeveloped, Keegan walking out first time, appointments of every poor manager from Gordon Lee through to McClaren and too many other disappointments nothing can bring me down for long. Fear the worst by all means but never lose hope. At my age losing Rafa and the promise he brings probably would be the worst in a long chain but I am not going to let myself be dragged down until it happens. As you know a week is a long time in Politics and a season is a very long time in Football. Desperate times when McClaren ( and those who appointed him) had us staring into abyss but then out of the blue come Rafa -did you predict that? Another 5 years of Austerity penny pinching alongside yes men managers . Ashley is stringing us all along . If this happened on Merseyside there would be a public enquiry in the big house .. a massive public outcry. Jail for Ashley is appropriate .. If the current petition hits the numbers it will launch an enquiry into Ashley’s creative accountancy at least..questions will be asked . Let’s hope the hassle that Ashley gets is enough to tip him over the edge. If Rafa wasn’t appointed we would be doing a Sunderland. The only good thing Ashley has done in his tenure and it was because he was desperate. Every time he spends money it would usually come in the January window when the stakes were high. I just don’t understand how we would trust someone like McClaren with a decent (a lot for Ashley) amount of money, but then Rafa gets nothing apart from player sales. We wouldn’t have signed Ritchie and Gayle for the championship had we not sold Sissoko, janmaat and Wijnaldum. It’s clear that whatever money we generate as a club he pockets. Not broken our transfer record since 2005. Speaks volumes. We are going nowhere under Ashleys tenure. Well, apart from down. Rafa has papered over the cracks, the only reason he is still here is for us. What a legend. and Rafa knows this and is cool with it.